I’m addicted to bookmarklets, I admit. And if they are useful, even more. 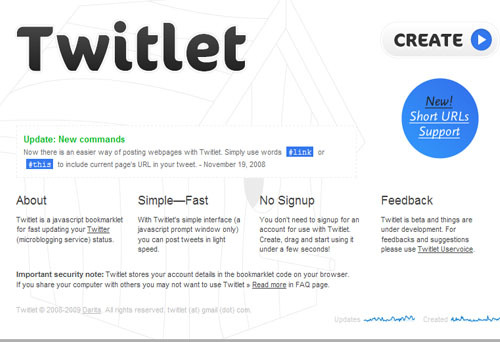 Like this one, which allows the user to use update your Twitter account quickly, for any browser, without distractions. Without doubt it is a simple functionality, quick, easy and implemented brilliantly; do not understand how someone has not been created before that. Compatible with any browser on any operating system and by having there.